All you beauty fanatics are probably familiar with MAC‘s Rebel lipstick (love!). Did you know they have an equally named polish too? This is two easy coats of Rebel with a tiny bit of Special Potion, also by MAC sponged on the tips of my nails. 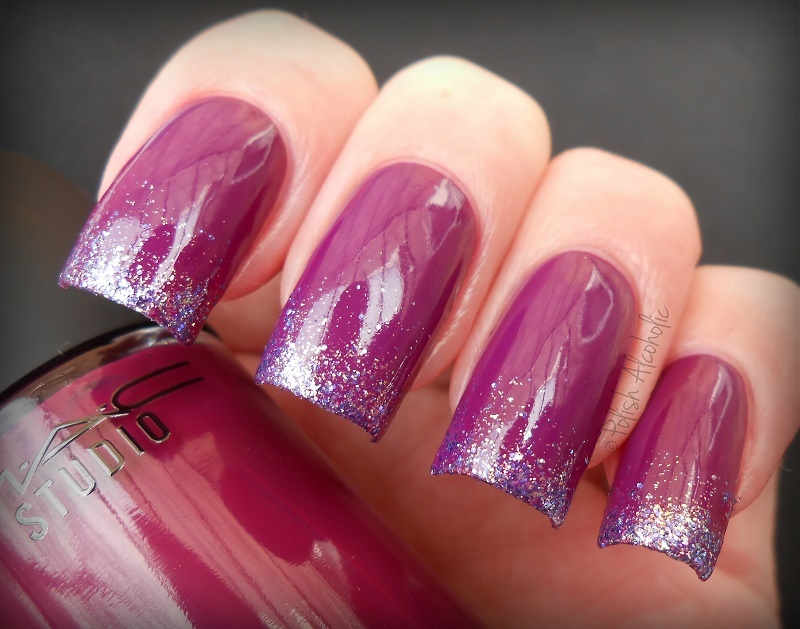 Special Potion is a dense glitter bomb containing lots of fine glitters in violet, purple and gold. So pretty! What do you think of this combo? This entry was posted in MAC and tagged mac, mac nagellak, mac nail lacquer, mac nail polish, mac rebel, mac special potion, review, swatch, swatches by Polish Alcoholic. Bookmark the permalink.